Anti Potter club. 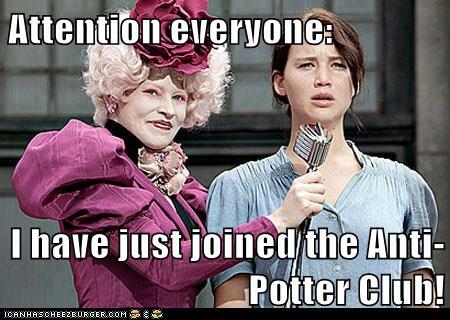 Katniss joins that Anti Potter club. Wallpaper and background images in the Harry Potter Vs. Twilight club tagged: harry potter katniss the hunger games anti.